I recently ran across a post browsing through my “Calvinism” sparks links in Google + and ran across this excerpt that was reply by a person, named David. I am choosing to address your comment, not because I strive to change your mind, but for the sake of other readers who have ears to hear. If there is a set of doctrines that are not supported by Scripture, particularly in how to inherit eternal life, then such a belief system is a false gospel. Besides this, if this false gospel describes a god (the one we are supposed to be seeking and obeying) with attributes that are not the attributes that Scripture describes of Him, then the belief system is doubly false. Such a religious system would have to be deemed a cult. You are saying (at my comment page –8/18/11) that Calvinism matches “the historic views of the church at large the past two thousand years.” This is an unimpressive claim when it was Calvinism which, throughout much of Europe, merely got its way like Catholicism did, through the persecution of those who would not adhere to their enforced state religion. Augustine, whom Calvin quoted extensively, was a very influential Catholic who believed that Tradition and the Church were as authoritative as Scripture, yet Calvinists insist (dishonestly) that it is Scripture alone which they follow. No, Calvinists follow men’s interpretations of Scripture, which means you, as a Calvinist, are not following Christ, but following men’s doctrines –particularly, Augustine’s, Luther’s, and Calvin’s. By the very title “Calvinism”, your belief system is one that adheres to what John Calvin wrote in his “Institutes”. Please do not side-step this fact by talking about “hyper-calvinism” and a “straw man”. Those are typical phrases of evasion I’ve heard numerous times by those who don’t want to own up to what their system does indeed teach. Now what I find interesting is that the writer seems to define a cult as any religious system that persecutes a group of people like Roman Catholisim did. The other problem is the author is not even addressing the “system” of Calvinism, which is actually what it is. The other problem is the author throws a statement saying that Calvin quoted Augustine saying that since Augustine believed that the Church and the Bible were on equal authoritative grounds that is what Calvin believed. Context is Everything – Our author, despite her strong convictions really gave no context to her argument nor the context around the quote from Calvin quoting Augustine. Define your Terms – She throws out the term, “Calvinism” without ever defining it. Genetic Fallacy – She attributes what Augustine believed about the weight of Scripture and Church to Calvin, simply because he quoted him. So it is important to think your presuppositions to their logical conclusions with chains of reasoning that can be used to defend your position and what you are actually trying to prove. “But to engage in philosophical discussion does not mean that we begin without scripture. The starting point for the Christian worldview is always the scriptures, but if you listen to Christians attempting to defend the Christian faith, they seldom start with the Scriptures. Instead they feel it is necessary to “put themselves in the mind of the unbeliever” in order to establish a “common ground” to have sound discourse with them. When this approach is utilized the battle is over. Jesus was speaking to the Jewish religious leaders and you say he was engaged in an apologetic for the faith. He does not once concede and say, “OK, let’s just for sake of the argument I”m not who I say I am, namely the Son of God, who takes away the sins of the world…?” No, this is never once entertained, but the unbelieving leaders are forced to either accept His testimony and therefore to believe that he is the promised Messiah or they will perish in their sins. There is zero room for neutrality. And this is the point; to concede to the unbelievers position is to believe that God is neutral and we not from the Scriptures that this is not the cause. The Lords judgements are binary; we are either covenant keepers or covenant breakers. Saints or reprobates. I think any rationale person would agree that in order to understand anything you need an adequate of the thing being discussed. For our purposes we will be referencing “thing” as a system. Our model will be simple. We will create a system that simply adds two integer values together and outputs the sum of the two values. 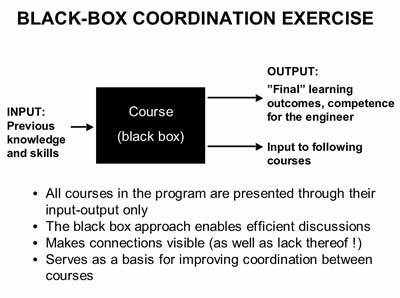 That being said we can view the conception of the things defined in what historically engineers have referred to as “Black Box Engineering”. This method is commonly used in engineering disciplines and is really very simple. 1. Input – Before anything meaningful can be done with our system we need some type of input to act on. For example, we will pass two inputs: a = 1, b =2. 2. Blackbox – This is where our input collected in step 1 is transformed into something that we desire. In our model our blackbox will compute the sum of the two input values. 3. Output – This is the result of our transformation produced by our Blackbox in step 2. 2. Blackbox – Regeneration that occurs by the Spirit of God working with the inputs of A & B primarily. 3. Output – The resulting output is a new creature in Christ that is justified, sanctified, adopted in the family of God, faith, and eternal life to name a few. So we see everything human beings deal with are systems in some form or another weather they be buildings, bridges, or the order in which Christ saves a man. 2. Try to find an idea by searching the Web. 3. Try to find an idea by reading a book on the subject. 4. Try to find an idea by reading a FAQ on the subject. 5. Try to find an idea by inspection or experimentation on existing ideas. to see if new ones can be abstracted. 6. Try to find an idea by asking a skilled friend in the area of interest. “Direction I: Furnish yourselves with a rich variety of ideas; acquaint yourselves with things ancient and modern; things natural, civil, and religious; things domestic and national; things of your native land, and of foreign countries; things present, past, and future; and above all, be well acquainted with God and yourselves;” Logic: The Right Use of Reason in the Inquiry after Truth – Isaac Watts, Page 69. To be successful with any idea is to have lots of ideas. One word of caution; If you out of blue experience an idea that no one seems to have thought of, you need to find out why first. It could be because someone smarter than you saw problems or potential roadblocks for that specific idea. When in doubt, always perform through research on your ideas if you are planning on using them to design or build something and thereby to avoid potential roadblocks down the road. The list below is by no means a comprehensive methodology for generating ideas, but I think it is a good start and as you use the tools and methods suggested you will most likely come up with your own. 1. When a proposition is being presented there needs to be a consistent mechanism from which to prove the given premise. 2. If I just say I feel that the sky is blue, this of course is subjective to me and it could only be subjective to me so that you would never be able to confirm the premise that the sky is blue. 3. Finally, without having a consistent understanding of perception and the objects and references associated with it, it would be impossible for human beings to communicate at all. Let’s take the last point in relation to the english alphabet. If I cannot observer through the sense of my vision that the order of the alphabet follows: A, B, C, etc.., but you can how would I ever be able to form words that you would understand? So it is not just perception that needs consistency, but objective perception so ideas can be understood on common ground between persons. Check back soon as I will cover the “Nature of Ideas” and how to obtain new ones.